Hot on the heels of the launch of Shangri-La’s newly refurbished Garden Wing, the Waterfall Café has quietly re-opened by the hotel’s poolside. Spotting a contemporary – albeit colonial-inspired – persona with whirling ceiling fans, heaps of dark wood furniture, quaint table lamps and wall-hugging racks displaying an array of pantry essentials (think artisan olive oils, gourmet salts and aged vinegar), the reincarnated Waterfall Café is the epitome of colonial cool. 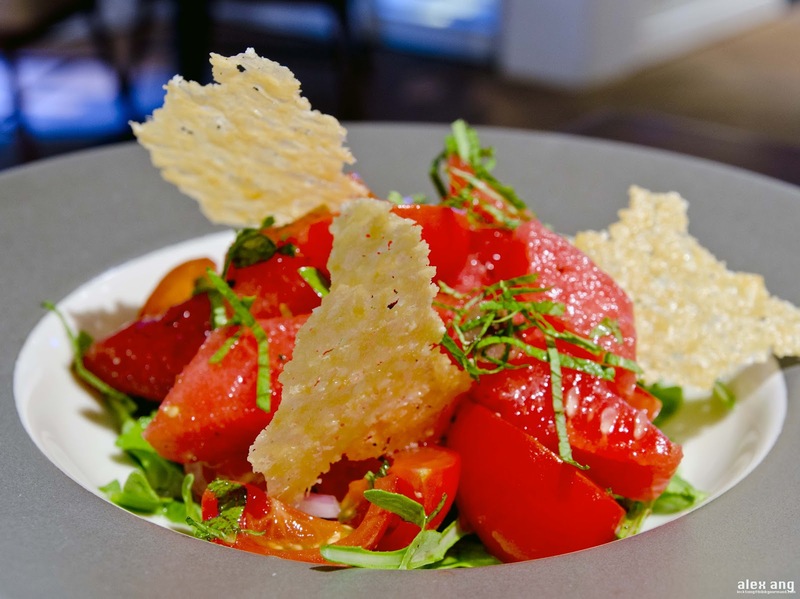 Newly installed chef de cuisine, Stephane Cocu, is an alumnus of Le Crayeres in Reims and Daniel in New York; but instead of creating yet another cookie cutter menu of French cuisine, Cocu has crafted a menu of Mediterranean inspirations. With a whole new focus on organic and sustainable ingredients, Cocu’s Mediterranean-inspired menu is refreshing as it is somewhat healthy. 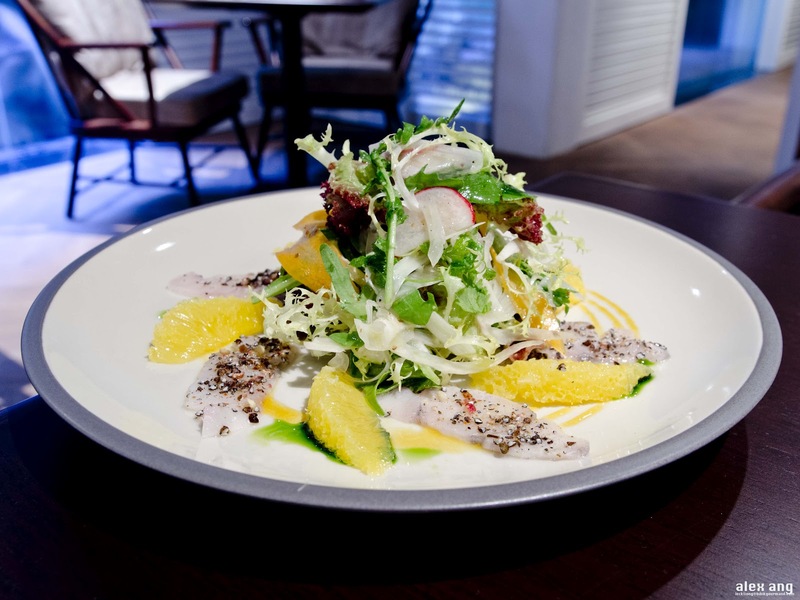 The toothsome salad of cubed watermelon with wedges of momotaro tomatoes, mint, arugula and olives so aptly exemplifies the restaurant’s wholesome concept, as does the dish of carpaccio of seabass with Tasmanian peppers crowned with a mound of fennel and orange salad. But veer off the starters’ menu and you’ll be acquainted with not-so-healthy dishes that score just as high on the taste barometer. Creamy English pea veloute is served with heaps of crisp brown butter crouton and generous folds of Parma ham while oodles of fettuccine are tossed with porcini mushrooms and Parma ham in a rich and foamy Parmesan sauce. 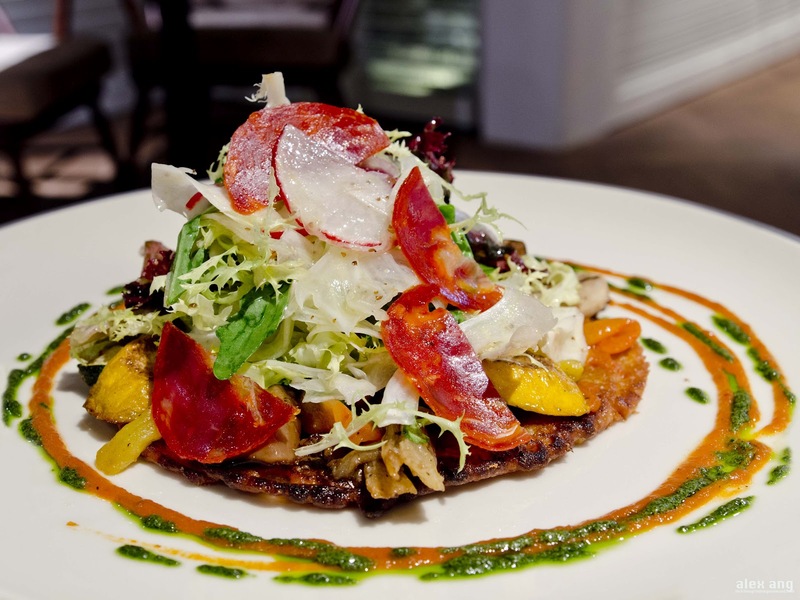 For mains, stay healthy with socca, a chickpea pancake topped with lashings of vegetables and chorizo slices, or scale the calorie metre with the impeccably grilled meats; we recommend the Iberico pork chop with sautéed corn, carrots and zucchini as well as the beef rib eye with Bordelaise sauce and crispy chickpea flour-made panisse. 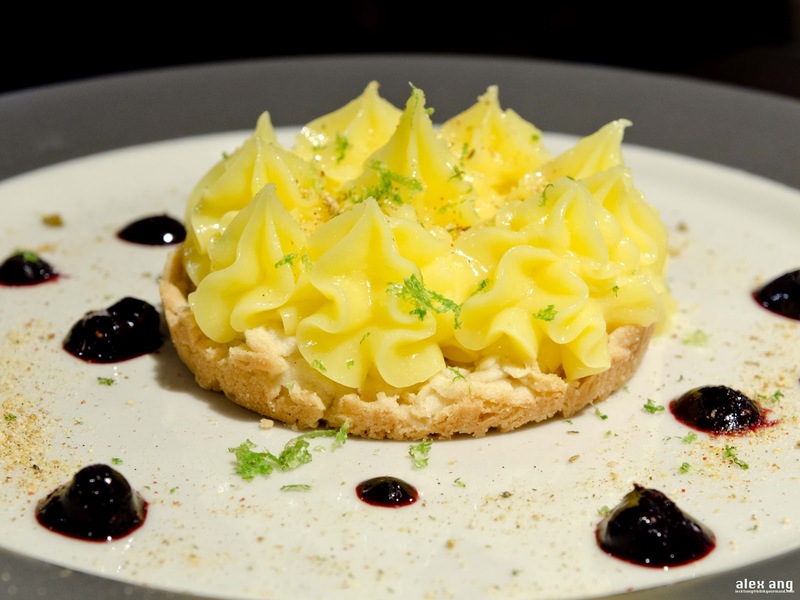 If you can afford just one more indulgence, sink your teeth into one of the city’s most luscious lemon curd tart – if it makes you feel better, have it with a glass of bio-dymanamic wine.